Cumbia or line dance, the performances captivated the audience for six straight hours. Samosas or Fruta Picada, the food kept attendees in line for more. This was the 39th annual Multicultural Festival (MCF), organized together by 15 ethnic organizations and Greek life, making it one of the largest events on campus, drawing about 500 over the course of the day. 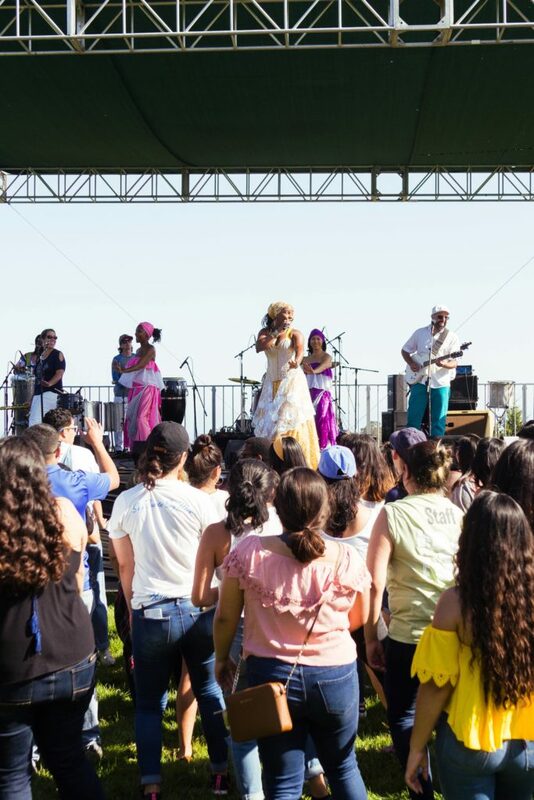 Since the late seventies, the festival has become a space where different cultures in Santa Cruz can be shown to make up the culture that is Santa Cruz. This year’s theme of “Cultivating Love & Resilience” demonstrated how necessary events like these are becoming in increasingly marginalized communities. Leon de Jesus was just one of the organizers in pistachio-colored shirts, who buzzed around Oakes Lower Lawn when they weren’t enjoying food or the show. Planning for MCF began back in January and was the result of the tireless effort of student organizers who committed hundreds hours of work in addition to student workload. MCF serves as a space where students from communities of color can bring a piece of home to campus to share with others. For this reason, it draws hundreds students on campus who find UC Santa Cruz and the larger Santa Cruz area to be lacking in their culture. UCSC is a predominately white institution in a strikingly white city. It can be hard to come by dishes like lumpia or three sister stew or to find spaces which offer traditional island dances. These aspects which are integral to a student’s upbringing can be sorely missed when they are no longer around them. The festival featured performances from cultures across the globe. Back-to-back, performances like African Student Union’s dance troupe or the JK Family’s dynamic routines on the grass in front of the stage livened up the crowd and made six hours feel significantly shorter. 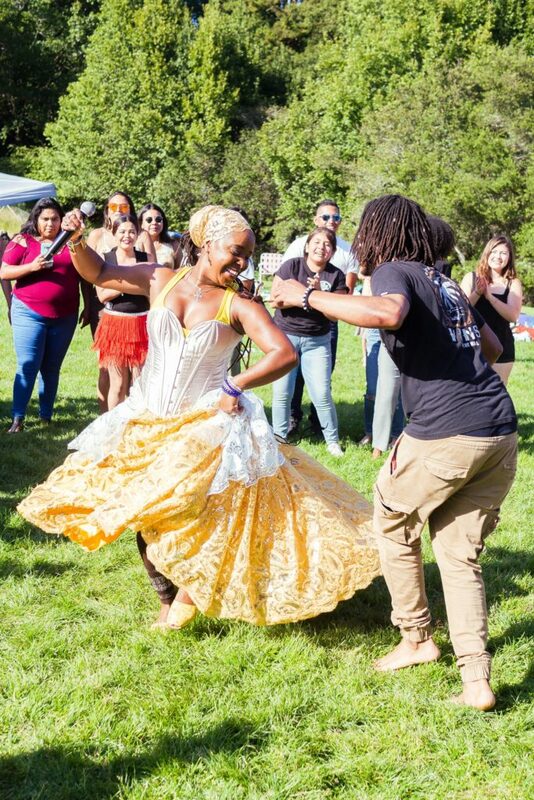 The setlist included dances from some organizations, like Grupo Folklórico Los Mejicas, a traditional Latinx dance troupe celebrating it’s 46th year at UCSC, have been around longer than the festival itself. 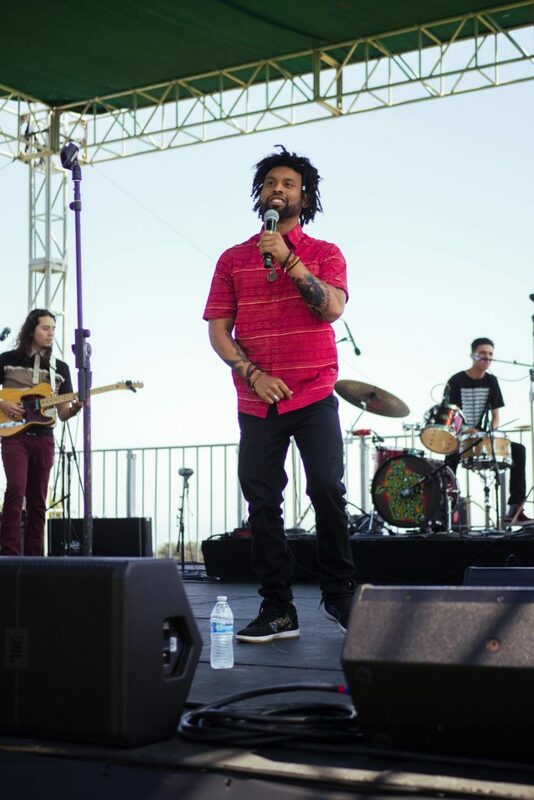 Aside from the headlining acts, the performances were largely conducted by students, who dedicate hours to practices and rehearsals throughout the year. These performance spaces can be a way for students to connect back home. Though Oakes lower lawn is such a large venue space, ideal for dancing as headlining band SambaDá showed for the last hour of the event, some attendees felt attendance could have been stronger in order to strengthen the celebration and acknowledge the effort which goes into the festival each year. Over the day, there were about 500 people in attendance, when in past years estimated counts have been over a thousand.